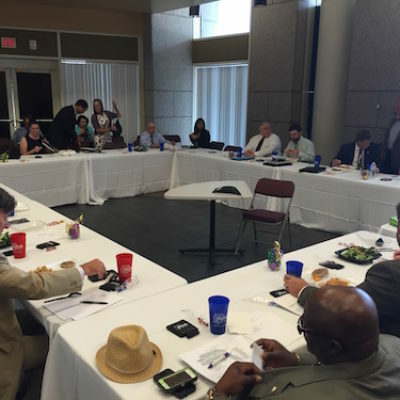 On July 28th, 2016, Coastal Alabama Partnership hosted the Gulf Coast Rail Service Working Group (GCWG) in Mobile, Alabama in partnership with Mobile County and the City of Mobile. By direction from the Fixing America’s Surface Transportation (FAST) Act, the working group is tasked with evaluating all options for restoring passenger rail service along the Gulf Coast, selecting a preferred option, prioritizing and developing costs estimates for actions required for restoration and identifying funding sources to restore service. At the July meeting, the working group reviewed and discussed the draft “Gulf Coast Working Group Report to Congress.” This report contains the findings of the working group’s activities over the past seven months. Prepared by Urban Engineers, Inc., the report includes background and history on passenger rail service along the Gulf Coast, as well as a proposed restoration plan and potential funding sources to restore service. Once finalized, the report will be submitted to the Committee on Commerce, Science and Transportation of the U.S. Senate and the Committee on Transportation and Infrastructure of the U.S. House of Representatives by the Federal Railroad Administration (FRA) in association with the GCWG. The final GCWG meeting will be held in New Orleans, Louisiana on August 25th, 2016. The report is scheduled to be submitted later this year. Appointed by the FRA Administrator Sarah Feinberg, the representatives on GCWG include the FRA, Amtrak, States, municipalities and communities along the proposed route, regional transportation planning organizations, metropolitan planning organizations, the Southern Rail Commission (SRC) and railroad carriers whose tracks may be used in future service. 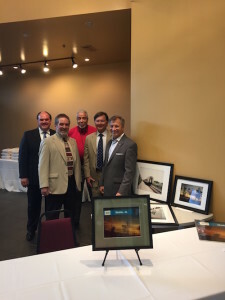 Appointees from the State of Alabama to the working group are Mayor Sandy Stimpson (City of Mobile), Greg White (SRC Chairman), David Gehman (The Porch Band of Creek Indians), Don Arkle (Alabama Dept. of Transportation) and Wiley Blankenship (Coastal Alabama Partnership).